This is a rare pattern by Fostoria. 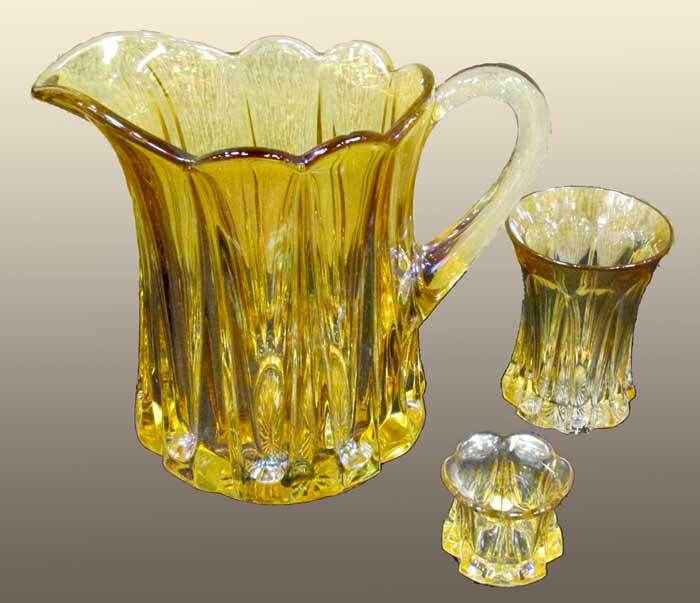 These three pieces sold at the 2013 American Carnival Glass Association convention auction. The water pitcher brought $215, the tumbler $250, and the toothpick holder $125. Photo courtesy of Carl Booker.